Mexican car insurance coverage and lapses while driving in Mexico! It’s important to buy the right kind of Mexican car insurance coverage at Mexican Insurance Store before hitting the road for Mexico. In addition to getting a policy that has the right features, you should make sure that it will remain valid throughout your visit. Nothing could ruin your fun vacation like getting into an accident and finding out that your car insurance for Mexico policy is expired. You will be out of luck. Click here to explore the many options that are available when it comes to this Mexican car insurance coverage online. 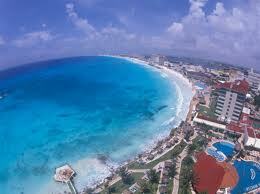 Most people have specific dates in mind when planning their Mexican vacations. If that’s the case with you, buying a car insurance by mexicaninsurancestore.com for Mexico policy will be a snap. Simply provide the dates during which you will require coverage. Don’t forget that your policy needs to remain valid until you are safely back in the U.S. Double-check the dates before you actually make your car insurance for Mexico policy purchase. Keep in mind that you may be able to call and extend your coverage if necessary. However, it’s better and easier to just get a policy that is right from the very start. What if you’re not sure how long you’ll be in Mexico? It’s better to buy insurance that lasts longer than you need than to buy Mexican car insurance coverage that lapses before you get back to the U.S. One option is to get a monthly policy. At least, it’s a good idea for trips that will last a week or two. If you’ll be in Mexico for a few months, a semi-annual car insurance for Mexico policy may be a better option. When you get a quote, you should be able to check out all of these options and plenty of others. Even the most carefully made plans get disrupted at times. If something comes up and you need to stay in Mexico longer than you’d expected, don’t just let your Mexican car insurance coverage lapse. Pick up the phone and call the insurance provider. You should be able to have your policy extended or renewed. Ask about this when buying your original policy just to be safe. It’s nice to know the option is available if you need it. Do you know how to Avoid Mexican Insurance Lapses while Traveling South of the Border? It does not hurt to book car insurance for Mexico for a period that is slightly longer than you planned to stay in Mexico. It ensures that you are not too strained when accidents come and the cover has run out. Previous post: Mexican auto insurance online coverage and money saving tips! Next post: Car insurance for Mexico from Mexican Insurance Store – Buying Do’s and Don’ts!